Normally, when I take part in blog tours, I tend to write a wee review on the book or else interview the author. Today, I have something a little bit different for you guys to enjoy: a sneak peak extract from a chapter of a new book by Julia Chapman: Date with Death. 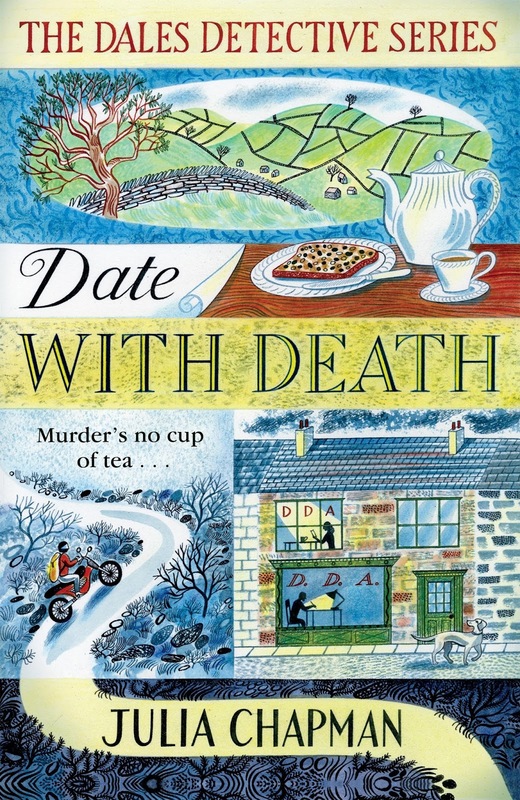 Date With Death is the first in a new series by Chapman, set in the Yorkshire Dales (very close to home for me!) Described as being filled with “dry Yorkshire humour” (aka, everything I look for in a novel), I am very excited to get stuck into the copy that the lovely team at Pan Macmillan sent to me for review! I haven’t quite had the opportunity to read it yet but it’s definitely one of the next on my to-read list! could name every flower that flourished in Hawber Woods. All the trees, too. floor. It was closely followed by its sibling, a fork. kitchen, followed by muffled curses. Titch rolled his eyes. down at that funeral don’t know what they’re missing. Knife-throwing! occasion. ‘How’d it go?’ he asked gently. Date with Death was published Thursday 9th March, 2017 by Pan Macmillan. You can buy it from all the usual places.